TORONTO -- Rarely are Indigenous laws invoked on Parliament Hill, but that's exactly what happened this week when Jody Wilson-Raybould cited core values shaped by "a long line of matriarchs" in front a House of Commons justice committee. Observers say it's resonating deeply in Indigenous communities, with some including legal scholar Christina Gray suggesting Wilson-Raybould's assertion of First Nation principles as her guidepost is a "pivotal" moment in Indigenous-Canadian relations. "All lawyers are talking about this right now and definitely Indigenous people are talking about this from all different walks of life," says the masters of law candidate at the University of Victoria, a Ts'msyen member of Lax Kw'alaams near Prince Rupert, B.C., who was born and raised in Vancouver. "There's not an Indigenous person that's not thinking about this issue right now." Wilson-Raybould's bombshell testimony Wednesday centred on statements that the prime minister's office employed "veiled threats" to pressure her to allow SNC-Lavalin to escape prosecution. For his part, Trudeau said later that day that he completely disagreed with her account and insisted he and his staff "always acted appropriately and professionally." Wilson-Raybould, the former attorney general, reminded the committee of her history as a Vancouver prosecutor and her professional training to preserve "our system of order." But she also outlined what the rule of law means to her as an Kwakwaka'wakw woman and leader, in which she "was taught to always hold true to your core values, principles and to act with integrity." "These are the teachings of my parents, grandparents and my community. 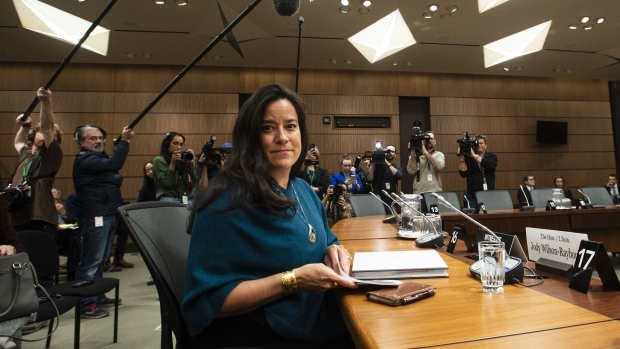 I come from a long line of matriarchs and I am a truth teller in accordance with the laws and traditions of our Big House," said Wilson-Raybould, former British Columbia regional chief of the Assembly of First Nations. "This is who I am and who I will always be." Chief Robert Joseph, a fellow member of the Kwakwaka'wakw Nation, says Wilson-Raybould's comments have "ignited" an important discussion that he believes will resonate beyond committee hearings. "Politicians are probably going to be the last to awaken to this possibility (but) ordinary Canadians have a real willingness to learn about their Indigenous neighbours," says Joseph, calling that key to the principles of reconciliation. He acknowledges that few non-Indigenous people likely know about the concept of a Big House, which were literally large structures that in the past sheltered up to four families of a clan. Today, they are a place for ceremonies, decision-making, discussion of economic development issues and protocols between nations and clans, says Colleen Hemphill, chief negotiator for the Gwa'sala-'Nakwaxda'xw Nations. Carved totems and crossbeams reflect Indigenous history and ancestral connections to the land. "Some people, including the band chiefs that I work for call it our Parliament building. It's very, very important, very sacred, it's the place where we come from and it shows our connections to our origins," says Hemphill, in the midst of raising funds to build a Big House in her community north of Port of Hardy, B.C. But when Wilson-Raybould speaks about the Big House, she does so metaphorically, because it also represents an entire worldview, says Chief Joseph. "When we talk about the Big House we're talking about all things Kwakwaka'wakw in an instant," he says. "All of them have genesis stories and from that genesis story we talk about all of the history ... we talk about the laws that evolve from that genesis and we talk about the spirituality that is inherent in all of the genesis. Chief Joseph also lauded Wilson-Raybould for living up to her Kwak'wala name of Puglaas, which he says literally translates as "someone who is a source of fulfillment." "If you hold that name it (means) to be able to live out your highest consciousness, to live out all of the teachings that you've been told and truth is fundamental to the teachings of the Kwakwaka'wakw," says Chief Joseph, noting this would have been ingrained in Wilson-Raybould throughout her upbringing. 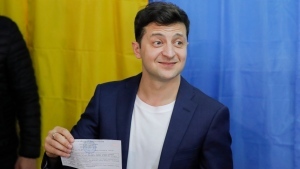 "If you are untruthful you bring dishonour not only to yourself but to your family, your tribe and the nation. So the honour of all, really, rests with you." Hemphill says she was very close to Wilson-Raybould's grandmother, who bestowed the name, and says it would have been chosen after careful consideration with the chief, the matriarchs and her parents. "And then oftentimes they would observe the child and they would make a determination that that child would have a certain name based on that child's behaviour. And then they're groomed accordingly." Women hold particular power in their communities, adds Hemphill, in preserving traditions while presiding over feasts and ceremonies to mark milestones such as births and coming-of-age. "Often it's the males who are the chiefs but it is the females, the matriarchs, that are behind those chiefs that make them really, really strong. The matriarchs have an extremely important role in a community to oversee things, to uphold the kind of rule of law and to remind the chiefs of their responsibilities," says Hemphill, whose First Nation is slightly north of Wilson-Raybould's and culturally similar. "The further north you go the more strongly matriarchal they are and the further south you come you move into a more patriarchal society." Wilson-Raybould's words also caught the attention of Victoria lawyer Murray Browne, who is not Indigenous but found the committee hearing "a really ironic and interesting situation historically for Canada." "I'm not sure if people understand the significance of this -- that we have somebody like Jody Wilson-Raybould coming from a culture (that) was actually outlawed, her nation was subject to the potlatch bans that were in force in Canada from 1927 to 1951," says Browne, a senior associate with Woodward & Company, which works exclusively for First Nations governments and organizations. "But that culture taught her to be a leader with integrity. She gets appointed to the government, who has a past of oppressing her people and trying to erase her culture and she's the one who's speaking for integrity in the government." Hemphill, too, says she hopes Wilson-Raybould's words hit home with all Canadians. "I would love to see a dialogue begin to happen and for people to admit that the Indigenous people know what the heck they're doing," says Hemphill. "They've been doing it for thousands of years so let's take a closer look at what is being said and what is exemplified by Jody at this time."